India is currently the only national market in Asia experiencing growing construction machinery sales. 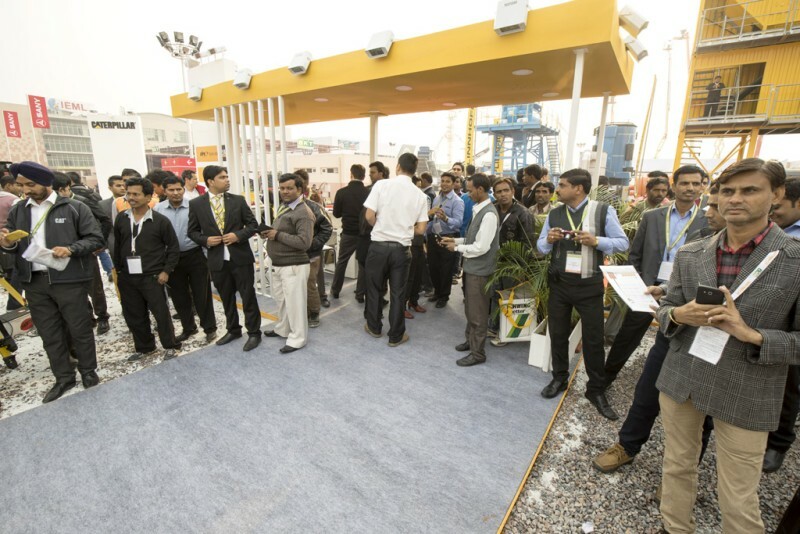 And growth is forecast for the next few years as well: Good leading indicators for BAUMA CONEXPO INDIA, which will be held from December 12 to 15, 2016 at the HUDA Ground in Gurgaon/Delhi. According to the Construction Equipment and Building Material Machinery Association within the Verband Deutscher Maschinen- und Anlagenbau (VDMA—German Engineering Federation), India is currently the only Asian country able to point to a growing construction machinery market. Infrastructure development is commonly held to be the driving force behind this development. The Indian government and international development banks are making billions available for new roads, bridges, sea and airports, as well as railway and energy projects. The German foreign trade and inward investment agency, Germany Trade & Invest (GTAI), has observed the government of this south Asian country with its billion-strong population pointedly dismantling barriers to infrastructure projects—lending further impetus to civil engineering. According to GTAI data, for example, expressway construction in India in 2016/17 is to be expanded to 15,000 km compared with 6,000 km the year before. With a view to current conditions and all currently foreseeable factors, the British market research company Off-Highway Research arrives at a very favorable forecast for the next five years as well. It envisages the approximately 55,000 construction machines the analysts expect to be sold in India in 2016 climbing steadily to more than 71,000 units by 2020. The top sellers, with a combined market share of over 90 per cent in 2020, are expected to be backhoe loaders, crawler excavators, mobile cranes, mobile compressors, compactors and wheel loaders. The positive trend is also reflected in the registration situation: important key players such as ACE, Astec, BAUER, BKT, Herrenknecht, Kobelco, Liebherr, Linnhoff, Liugong, MAN, Peri, Puzzolana, Sany, Schwing Stetter, Soilmec, Wacker Neuson, Volvo and Wirtgen as well had already registered in the first half of this year.